Win one of 50 licenses for AVG Ultimate! 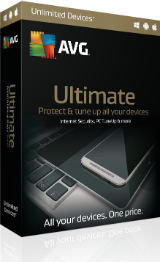 AVG Ultimate is AVG’s best all-in-one antivirus, anti-malware, privacy, and tuneup package for every device in your family. You get security and performance apps for unlimited Windows, Mac, and Android devices and can remotely manage them from a single dashboard on any Windows PC or Android phone/tablet. You also get Anti-Theft to remotely find, lock, or wipe your Android devices if they ever go missing. Best of all, updates are automatic. New improvements and features are automatically pushed to you when available.